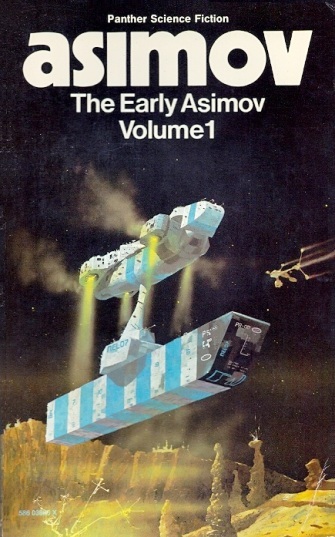 Notes: Title appears as "The Early Asimov Volume1" on spine and cover. "Published by Granada Publishing Limited in 1973" (actually by Panther). Sixth printing ("Reprinted 1974, 1975, 1977, 1979, 1981"). "Granada" on spine, "Panther Science Fiction" on cover, "A Panther Book" (above) "Granada" on title page. Artist credited on back cover. Other prices: New Zealand $5.25; Australia $4.95 (recommended).